Quiz Black And Red German Shepherd trained - ZAUBERBERG! 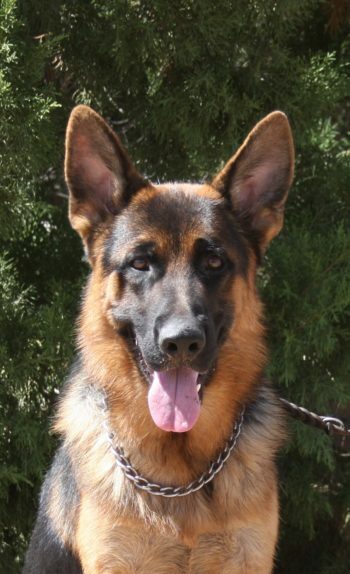 Quiz Black And Red German Shepherd trained is a super strong built male with outstanding color and pigmentation. He is very friendly and tries to please. With solid temperament, he fits any situation. Great family companion and protection dog by instinktive disposition once he is accustomed to his family. He has been successfully completed the puppy training program at a young age and is now being trained in the in home pet training program. Interested in Quiz vom Zauberberg? Contact us today and start the process!